Penetrating injuries such as blast or knife wounds are very difficult to treat and often lethal. 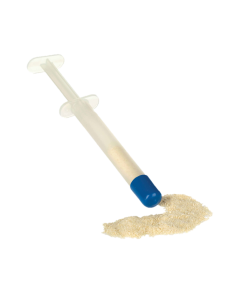 Celox™-A is a unique haemostatic granule applicator pre-packed with 6g of Celox™ granules and designed to get through a small entry wound, directly to the bleeding site in just a few seconds. Celox™-A has excellent results in independent testing – see graph on right6. 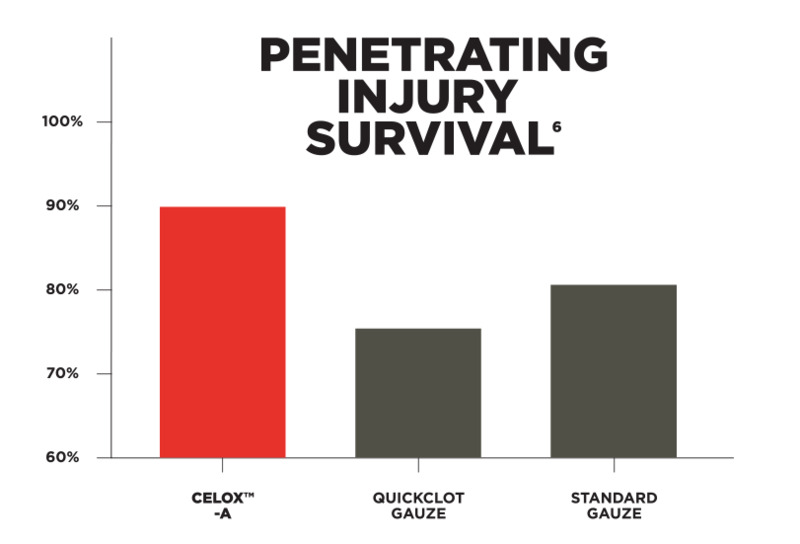 Celox™-A uses the proven Celox™ granules for maximum performance and reassurance of a safe, effective product. Celox™-A works on hypothermic blood. Celox Granules are easily removed and residual chitosan is naturally broken down and excreted by the body.